Digital libraries and other digital media collections contain a wide variety of content that is available for educational use - the examples posted here are a small sample of what is available. Many of these projects are maintained by academic libraries and not-for-profit institutions, and others are made available by commercial content providers. Reuse rights may vary - check for Creative Commons licenses or other rights statements before re-posting online content. The fair use provisions of copyright apply even if content is posted with use restrictions. "The Avalon Project will mount digital documents relevant to the fields of Law, History, Economics, Politics, Diplomacy and Government." "The Digital Public Library of America brings together the riches of America’s libraries, archives, and museums, and makes them freely available to the world. It strives to contain the full breadth of human expression, from the written word, to works of art and culture, to records of America’s heritage, to the efforts and data of science." "OCP's unique online collections do not duplicate individual collections of books or manuscripts. Instead, OCP offers new, virtual collections of thematically linked material selected from numerous Harvard repositories. Each collection is easily searchable on the web." "HathiTrust is a partnership of academic & research institutions, offering a collection of millions of titles digitized from libraries around the world." "Making of America (MoA) is a digital library of primary sources in American social history from the antebellum period through reconstruction." 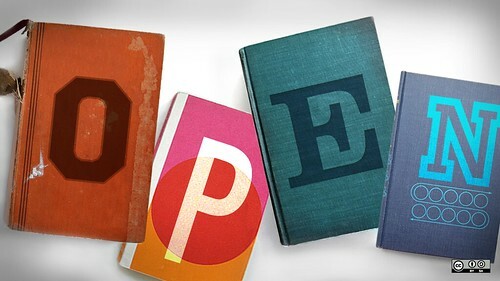 "Open Library is an open, editable library catalog, building towards a web page for every book ever published." "Project Gutenberg offers over 46,000 free ebooks: choose among free epub books, free kindle books, download them or read them online." "The University of Oxford Text Archive develops, collects, catalogues and preserves electronic literary and linguistic resources for use in Higher Education, in research, teaching and learning." Contains digitized copies of classic literature including works of Shakespeare, Jonathan Swift, Alexander Pope, Thomas Paine, and others. A collection of images published on Flickr using a Creative Commons license. Open access to over 800,000 digital images from the new York Public Library's collections. "A database of freely usable media files to which anyone can contribute"
From your results page, click on "Search tools". Notice the additional search filters that have appeared. By clicking on "Labeled for Reuse" you can filter your image results by license type. From your results page, click on "Filters". Notice the additional search filters that have appeared. By clicking on "Creative Commons", you can filter your video results to only those with a CC license. Streams full-length documentary films free of charge, with no registration needed. For several films, you may even have the ability to watch trailers or to download the actual film. Enter your search term in the search bar on the top right of any page. From your search results, click the "Show Advanced Filters" button. Select a Creative Commons license under the License drop down menu, and your search results will automatically update.